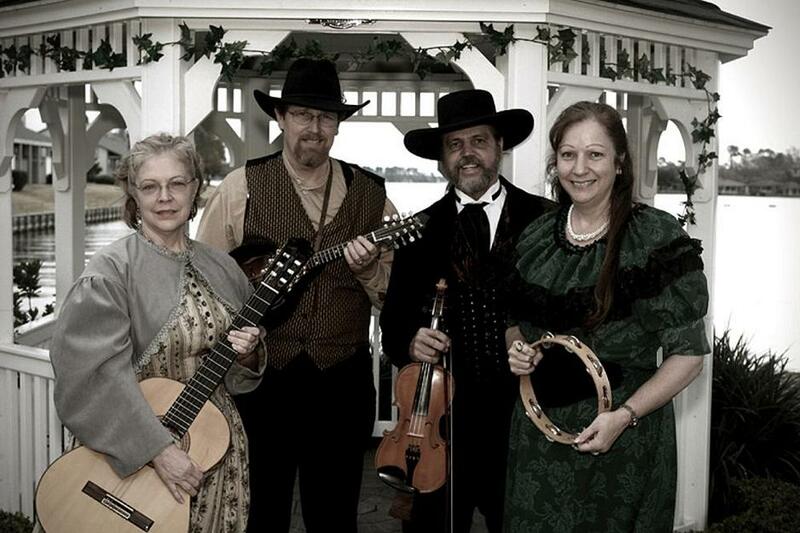 Celtaire String Band features, from left, Mary Schafer, Mark Schafer, Mel Peters and Betty Peters. Download the performance poster here. Coastal Bend College Cultural Arts Committee presents Celtaire String Band on Saturday, Sept.18 at 7:30 p.m. in the Gertrude R. Jones Auditorium. The Beeville concert is free to the public. Mel Peters, Betty Peters, Mark Shafer and Mary Shafer make up the Celtaire String Band from Waller and Spring, Texas. Celtaire String Band recently performed at The Alamo, a recurring gig for the band. They’ve taken part in Galveston’s Dickens on the Strand for almost 20 years. They play at Texas festivals, re-enactments, museums, renaissance fairs, schools, weddings and private parties. “We are passionate about keeping our musical heritage alive,” Peters said. Acoustical instruments used in the performance include the fiddle, pennywhistle, guitar, mandolin, vocals, banjo, “bass-box,” tambourine, autoharp, spoons, scrub-board and limberjacks. For more information, contact Dr. James Lee at (361) 354-2303.